Picking the right SUV isn’t an easy task as there are plenty of good choices but one vehicle that has never disappointed SunWheels is the Kia Sportage. At the end of last year, Kia boosted the Sportage with a fresh appearance and we tested the mid-range CRDi Ignite Plus version. This is what we tested on the road. 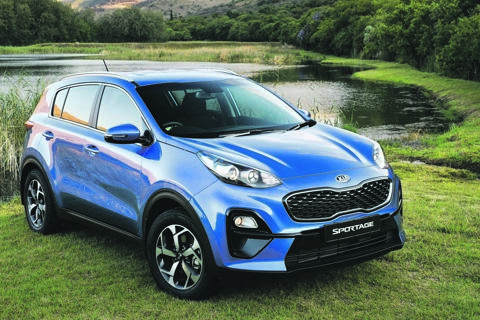 After driving the Sportage for a couple of weeks, it is again clear that the SUV is a showcase of Kia’s strengths and even take them to a new level. Our test vehicle’s interior was pleasant with enough space for a family of four or even five plus their luggage. The Sportage is solid with good build quality and we travelled almost 4 000km in it. During all this time, it was free of rattles. Our Ignite Plus featured Kia’s tried-and-tested 2,0-litre turbodiesel. This engine is really likeable as it is punchy and offers decent performance and comes across as refined, while we averaged a combined fuel consumption of about 8,4 litres a 100km. The engine is also fitted with Kia’s impressive new eight-speed automatic gearbox which offers easy and smooth gear changes. In the Ignite Plus Sportage comes with eye-catching 18-inch alloy wheels, electric side mirrors, a centre console armrest with integrated storage box, a Bluetooth connection, a radio with six speakers, rear park distance control and many more necessary features. The Sportage is quite safe too thanks to a full complement of safety and driver assistance systems but what is especially attractive about the Sportage is that it comes with Kia’s industry-leading unlimited kilometre/five-year warranty, as well as a standard five-year/90 000km service plan.